While some of us are satisfied with smoked meats upon occasion, there are others that feel that they simply cannot enjoy a holiday or trip without consuming foods that have that unique and delicious smoky aroma. 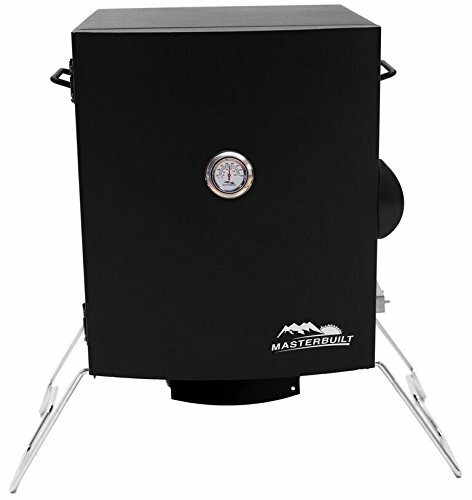 Those who would love to enjoy smoked foods at any holiday destination, home or would love to prepare these yummy treats at all sorts of occasions and locations simply must consider a portable smoker like the Masterbuilt MB20073716. This tiny, yet powerful 1400watt smoker is ideal for preparing foods at different locations such as near a beach, at holiday homes or even on camping expeditions because it is functional yet compact and mobile. Unlike most mobile appliances, this handy little smoker even looks good. 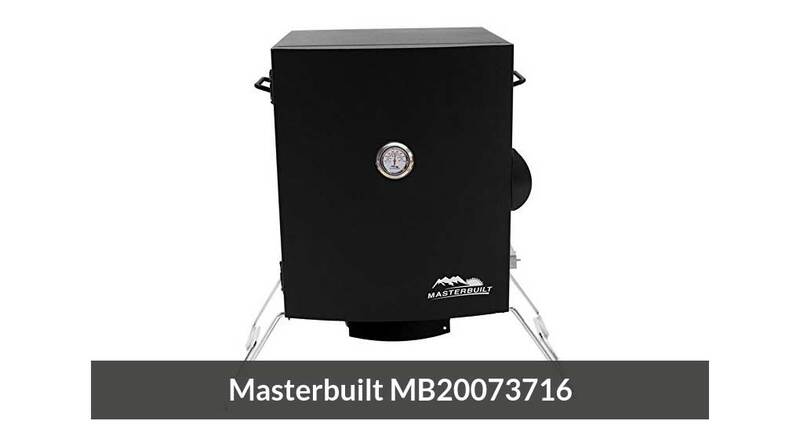 It has the same sleek black finish as most smokers in the Masterbuilt range with one big difference. This smoker has chrome plated fold in legs or stands and is fashioned with handles that make it easy to fold up and transport or set up wherever and whene472ver you need to use it. Size – At just 15.9 x 23.6 x 23.3 inches this is a perfect mobile companion on any trip. The MB20073716 does however still provide you with sufficient food smoking space thanks to its 280 square inch food capacity. You can easily stuff this mini smoker with 1 turkey, 2 racks of ribs or 2 pork butts. Controls – This electric smoker functions via analog temperature control which means that it is one of the easier smoker types to use. Analog temperature control is pretty basic with three temperature settings which make this a perfect investment for those who are new to smoking foods. A built-in temperature gauge also enables you to monitor the internal temperature at eye glance. Weight – The smoker only weighs 21.8 pounds and is light enough to pick up, carry and load in any type of vehicle. Cleaning – The smoker consists of a removable wood and water pan and two chrome-coated smoking racks that ease the process of cleaning and transporting this handy little appliance. Insulated – The smoker is well insulated and performs relatively good in cold and chilly temperatures without causing too much smoke in your casual areas.